399. What should PCTUSED be for frequently updated tables? 391. Select the "last" N records? 388. When was an Object Created? 385. What is a "Wrapper Procedure/Function?" 381. How full is the shared pool? 379. What Does "wrapped sql" Mean? 378. When was the table dropped? 373. How to Install and Use the Oracle ConText Server? 371. How Many Days Since 1900? 369. Primary Keys: Sequences or "Real" Data? 368. "NOT IN" vs. "NOT EXISTS"
364. What is the DUAL Table? 363. Is It Possible to Describe a Synonym? 349. Do DBAs need to know programming? 346. TEMP is filling up! 337. Connectivity between Client and Server..
333. I can't find my archived redo logs! 332. What is the default maximum sequence value? 331. What users and SQL are locking rows/tables? 328. Will deleting dump files affect the database? 325. Is Export/Import the best way to recreate tables? 323. Oracle Licensing - How Much Does It Cost? 320. Oracle sequences: how does it work internally? 315. Multiple Triggers on one table? Also, Temporary Tables? 312. Where is OPTIMAL Rollback Segment value stored in Oracle DD? 311. What Init file values are being used? 299. Which views, procedures, and packages are dependent upon a table? 292. How to see free space within existing extents? 291. What is the best way to perform bulk data loads: Perl or SQL*Loader? 290. Flushing shared pool does not free memory? 287. How do I install Oracle? 286. What are the new features of Oracle8? 285. What are my OPEN_CURSORS and MAX_OPEN_CURSORS? 284. Where are the files associated with my database? 283. Is DROP TABLE recorded in the redo logs? 276. 1. Who dropped a table? 2. What locks are blocking? 275. Is Oracle Year2000 (Y2K) compliant? 273. Do sequences get generated with an import? 267. Where does the data go during an import? 258. Are OPS$ accounts bad for security? 257. Can I examine the contents of the archive log file? 254. I can't describe a table that I know exists! 252. How do you reset a sequence? 250. How many cpu's does Oracle recognize? 245. When is it unsafe to IMPORT data in DIRECT mode? How to drop a database? What is the ConText option? 230. What is the BECOME USER privilege? 222. How do TEMP segments get cleared out? 221. Migrating Oracle6 to Oracle7: straight from datafiles? 216. When do triggers fire? Can you export from one table and import into another? 212. How do you convert Microsoft Access to Oracle? 211. ORA-7331 and the SGA; is the db stable? 210. What software defrags a database while the database is up? 208. Which users are using which Rollback Segments? 206. How many OPEN CURSORs do I have? 203. Where are the Oracle8 How-To source codes? 202. What's a schema, and should I update SYS tables/views? 198. What is a Thread Advance? 194. How long to migrate Oracle 7.3 to Oracle 8.0? 193. How do you application tune? 190. What to do if someone says the DB is running slowly. 189. How do you see table names in SQL*Plus? 187. Are multiple extents bad for performance? 186. How do you see the trigger body in the data dictionary? 182. Which SQL statements are being executed? 177. 1) 7.3.2 on Linux? 2) Does import use extra disk space? 176. 1) Dynamically creating tables 2) Has a column been indexed ASC or DESC? 174. 1) Does unique constraint exist? 2) How do you use HOST? 173. What does flushing the shared pool do? 143. How do you read REDO logs? 142. Is it possible to pass args. to a sql script? 130. How do I put a & in a varchar2? 110. Extents, Blocks, etc. - can anyone point me to help? 96. how to solve it? 93. [Q] how to find how many rows in each table in the database? 92. Database can't start - missing datafile! 90. How can I determine the size of my Oracle database? 89. Tablespace Creation trouble - Help! 85. Size of physical datafiles ..URGENT!!!!! 84. Is Oracle the worst-documented product of all time? 83. Is there a solution for varchar2 ! 82. How to move a user's tables from one tablespace to another tablespace. 81. Writing ASCII data to Oracle DB, howto? 80. table all_errors does not exist! 71. PCTUSED - How can I display the value of a table? 68. How to change password in SqlPlus/Net? 65. Scheduled Hot Online Backups - HELP!!! 62. How do you determine free space in DB? 57. limiting rows returned ? 54. [HELP] How can I find deadlocks? 50. "Product user profile information not loaded"? Why? 49. Am I running out of extents (fragmentation)? 42. REDO log shifts are blocking for DB updates !!! 36. URGENT: more extents needed! 30. SYSDATE - Time slow to update? 28. How can I find out who is currently using the DB? 21. How do I reclaim index space? 15. Question: How to handle duplicate table names? 14. Using alter table add constraint syntax? 8. This is an easy one. How do I do a simple directory list of my Oracle7 tables? 2. ORA-01555 Snapshot too Old? Download the Powerpoint presentation for "Managing Your Enterprise in a Mobile World"
Download the Powerpoint presentation for "Welcome to Oracle 10g Data Dictionary and Initialization Parameters"
Download the Powerpoint presentation for "Life Without Tools Monitoring Database Activity With the Power of SQL"
Download the Powerpoint presentation of "Moving to the Web: How to Prepare for the Switch"
Download the Powerpoint presentation of "Introduction to Oracle"
Download the Powerpoint presentation of "A Bag of Tips and Techniques for DBAs and Developers"
Download the Powerpoint presentation of "More Tips and Techniques for DBAs and Developers"
Download the Powerpoint presentation of "Password Management for Oracle8"
out. In Italian and Chinese, translated from my NT5 book. 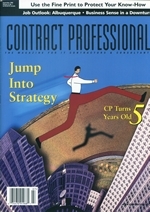 10/01/99: October's cover story of Contract Professional Magazine. Order your copy today! 11/15/99 : ComputerWorld: "Hot Spots"
10/25/99 : ComputerWorld cover lead: "Extreme Techies". 9/1/99: Congratulations to CALTECH for being selected as the NUMBER ONE University in America by "US NEWS AND WORLD REPORT". See the US NEWS article here. Article on BG&E project, for which Ari was Oracle DBA . 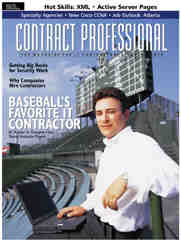 See various articles on Ari's Baseball Research . On June 13, 1997 Ari Kaplan was named recipient of the prestigious "Caltech Alumni of the Decade". Click for the complete list. Guess which Nobel Laureates he shares the prize with. .
also at Barnes & Noble. Windows 2000 from Apogeo This was the FIRST Windows 2000 book in the world (in Italian, translated from my NT5 book).